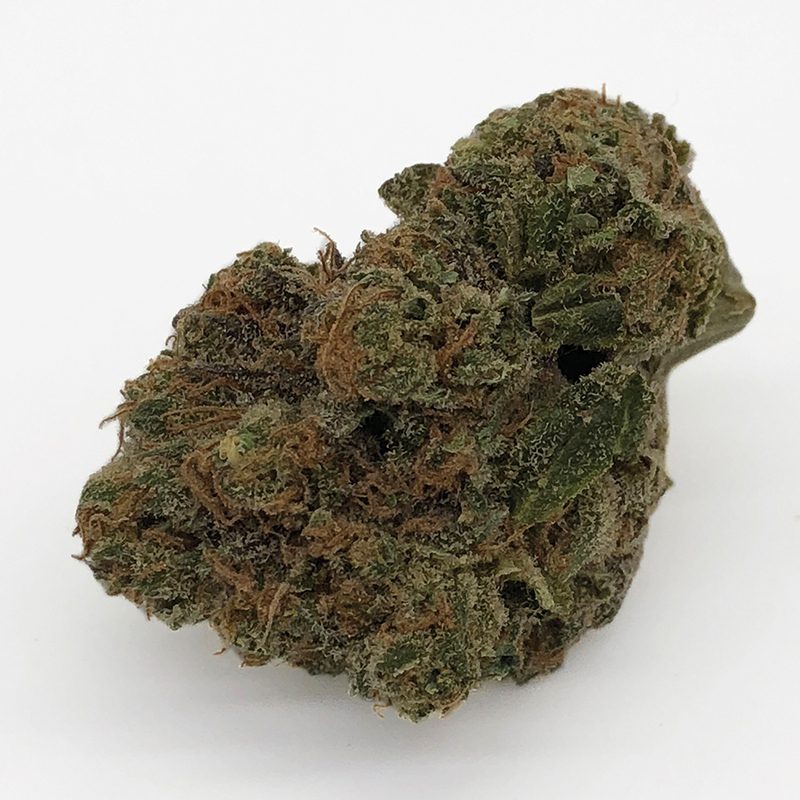 These dense buds tout an impressive color scheme of dark purple leaves, bright orange pistils and layers of trichomes that saturate the flower from stem to surface. A strong earthy aroma from the Face Off OG parent stands out in front of a sour-piney finish. A slight minty afterthought is noticeable upon exhalation from the parental Thin Mint GSC. The smooth yet powerful smoke tastes like and earthy-pine with a noticeable mint aftertaste. An initial wave of body-numbing relaxation paves the way for a happily dazed experience. Increased blood flow makes this strain useful for post-exercise soreness due to it's anti-inflammatory terpene profile qualities. Densely packed nugs covered with a consistent layer of trichomes bring an inviting quality to the visual appeal of this strong-looking strain. This strain definitely smells purple! The nose has a pronounced floral grape scent with a sweet detergent finish. A bit of sour pine is also noticed. 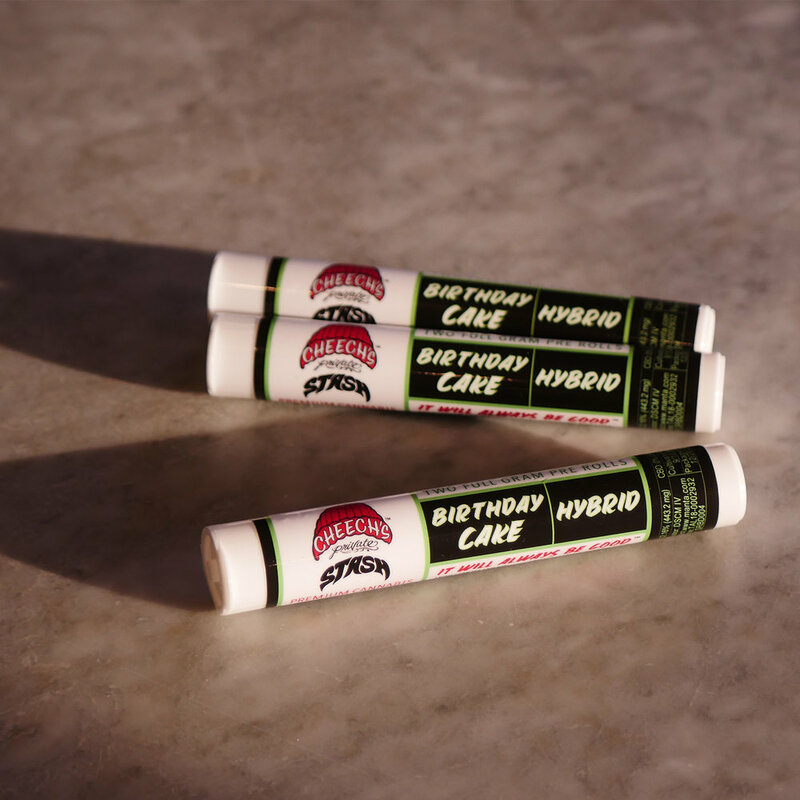 Clean and crisp smoke tastes so smooth that the grape candy flavor is subtle. Body-relaxing and mind-easing, this strain is great for winding down after a stressful day. Start the day in your personal paradise! 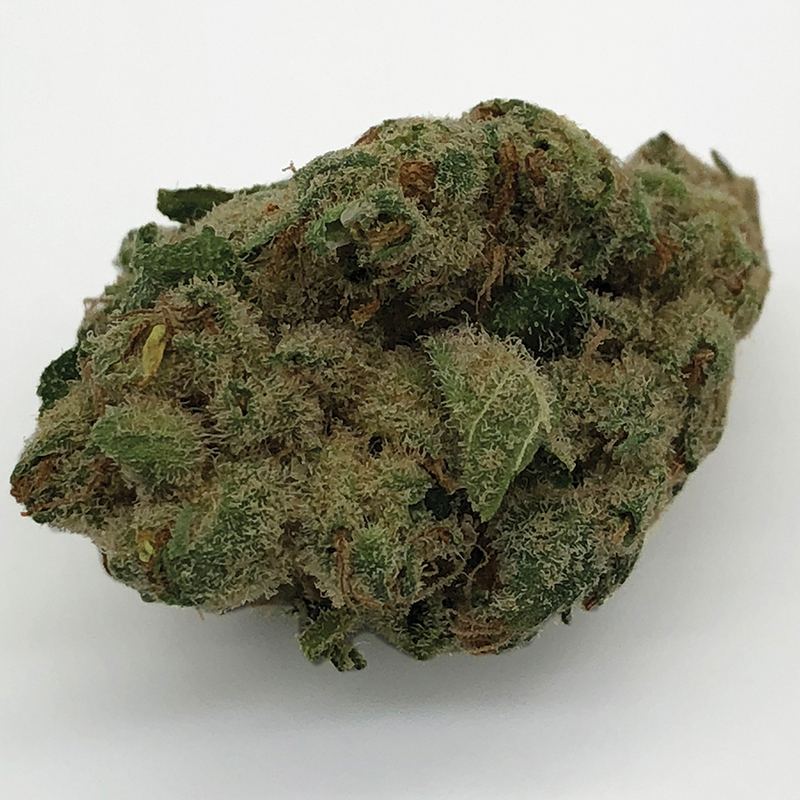 This Sativa is a perfect match for that weekend wake-n-bake to make you happy and hyped for the day. Enjoy the bright green leaves that are dusted with a constistent layer of trichomes. Like an- electric grapefruit lemonade, this flower perks up the senses and stimulates the mind. The smoke tastes smooth and citric with a faint smell of roasted lemon. This strain creates a stimulating buzz with a cerebral invigoration that reverberates through the body. Thoughts are accelerated, senses heightened and the demeanor is uplifted. These potent Indica-dominant pre rolls begin with premium full-flower, not shake or popcorn nugs. Rolled by hand to ensure an even and smooth burn down to the crutch. The pleasant taste and smell of the smoke is like a mix of sweet berry with earthy dough. Effects are a display of relaxed euphoria with a strong body high that buzzes from head to toe. This product is useful for anxiety, insomnia and physical pain. Bright green flowers are covered with glistening trichomes, like rain drops on a pine tree. Dense but manageable nugs break up easily and release a strong nose. The nose is a pungent-sour pine scent with a slightly earthy finish. The smoke is smooth and earthy tasting. A relaxed, yet stimulating high sparks an elevated mood and creativity, while relieving stress physically and mentally. Large and developed trichomes densely cover green and purple flowers. The nose gives off an initial sour gassy pine frangrance with an earthy wood finish. The smoke tastes like a piney perfume. Onset of effects are slightly delayed, creating a happy relaxation that sneaks up on you. A clear-headed and subtle body high is great for daytime activity. This strain has an impressive visual appeal. Dark green and purple flowers are densely covered with sparkling trichomes and thick pistils. The nose is a sweet and spicy citric candy with a pleasant earthy pine finish. The smoke is a subtle earthy wine taste with a slight spicy perfume on exhalation. The effects are an enjoyable elevated mood, with an immediate wave of euphoria that relieves stress and sedates the body. Inviting bag appeal touting trichome coverage that rivals kief-dusting. Dense and sticky nugs reinforce this invitation. The classic Sour Diesel nose is present, but is accompanied by an earthy-grape flavor. A woody finish rounds out the terpene profile nicely. The smoke feels light and airy, yet still packs a gassy punch. The smoke tastes and smells even more sharply sour than the flower. The onset of effects are strong and immediate. The body feels stimulated, increasing circulation to carry out physical activity. Uplifting feelings make outdoor activities happily pleasant. For medical use only. Schedule 1 Controlled Substance. In compliance with CA Compassionate Use Act, Prop 215, SB 420Sections 11362 & 11362.7 of HSC. Warning! Keep out of reach of children and animals. The intoxicating effects of this product may be delayed up to two hours. This product may impair the ability to drive or operate machinery. Please use extreme caution.